Another dose of good luck from the iconic chimney sweep! Of course we have here three good luck symbols: the chimney sweep with his tophat and ladder, plus a mushroom and lucky four-leaf clover. Although I do feel that having four-leafed oxalis is cheating, since to me finding a four-leaf clover is lucky because it is so rare. 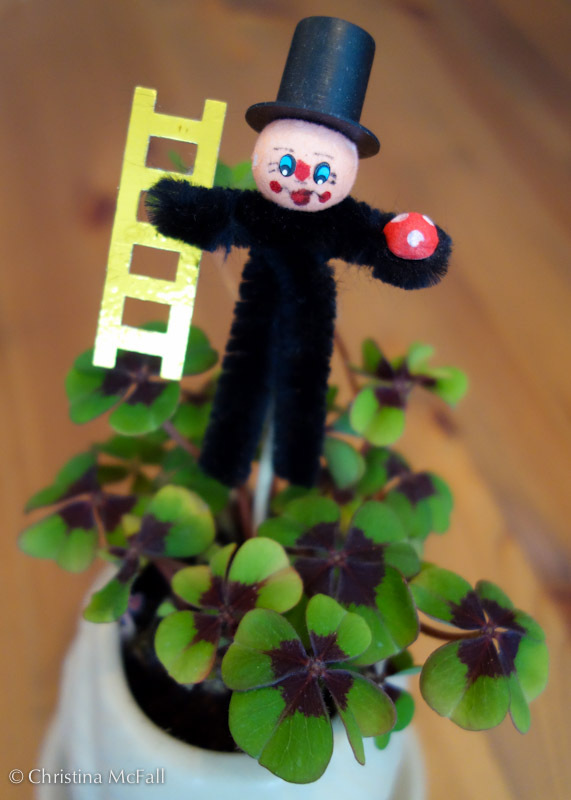 Also, I took this photo three weeks ago and by now my Glücksklee is looking a bit anemic… I don’t want to know what kind of bad luck you get if your goodluck clover dies!